Mr. Lawson is Sussex County's sixth administrator - and the first Sussex County native to hold the post - since the Delaware General Assembly granted Sussex County home rule in the early 1970s, converting the old Levy Court into the current Sussex County Council. Mr. Lawson began his tenure as County Administrator on Jan. 1, 2012. During his tenure, and with the support of County Council and staff, Mr. Lawson has made it a priority to streamline County processes, update technology and facilities, and improve transparency in government. Mr. Lawson continues to focus on the efficiency and effectiveness of the County’s operations to ensure staff have the tools they need to provide superior customer service. A native of the county, Mr. Lawson was born in Milford and raised on the family farm in Harbeson. In fact, his family has deep roots in Sussex County, with the family tracing its ancestry here back to the late 1600s. His family continues to live in the area, working in local schools, operating the family farm, and owning an automotive repair shop just outside Georgetown. Mr. Lawson's journey to the top appointed position in County government came by way of Washington, D.C., where most recently he worked for the communications and marketing firm Russ Reid Co., serving as a government relations consultant who worked on Capitol Hill to advocate for non-profit and municipal clients. Prior to working at Russ Reid, Mr. Lawson was Deputy Assistant Secretary in the U.S. Department of Housing and Urban Development, where he was a chief liaison to Congress, responsible for managing personnel and coordinating several of the agency's programs. Mr. Lawson got his start working for a member of Congress from Ohio and, in total, spent nearly 14 years working in the federal government arena. 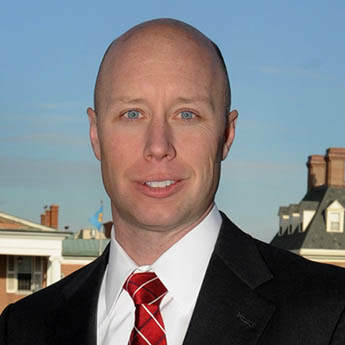 Mr. Lawson holds a law degree from George Mason University, as well as a bachelor's of science degree in agriculture business management with a minor in political science from the University of Delaware, where he was also a member of the football team. He is a graduate of Sussex Central High School in Georgetown, where his father served as a teacher for many years and where his brother continues the family's education tradition today. Mr. Lawson resides outside Harbeson with his wife, Stacy, and their two small children, Cooper and Grier. When he is away from the office, Mr. Lawson enjoys boating, skiing and spending time with his extended family, including his parents Bob and Diana, as well as his brother Clifford and his wife Meg and their three children.